At Elite Vac & Steam, we believe that it’s important to not only have proper state of the art equipment. We feel it’s also essential to have the right people in place to do the job correctly to provide great customer service. Our operators handle a wide range of cleaning from plant turnarounds, to industrial equipment cleaning, to tank desanding. Whether you’re in the oilfield, industrial, agriculture, commercial, or residential sectors, you can trust our people to continually find better ways to serve you. Our steaming services cover a wide range of cleaning and heating, including sour tank cleaning, industrial pressure washing, and more. Elite Vac & Steam units are fully equipped for handling sour facilities, meaning we offer zero-entry tank cleaning, zero-release sweetening, and metered chemical injections. This ensures the safety of our employees, as well as our customer’s employees, when H2S and LEL’s are present. Looking for top notch steaming services? Our team is ready to serve the oilfield, forestry, industrial and residential sectors. At Elite Vac & Steam, we intentionally stock our fleet with high-capacity units capable of handling almost any job. In house mechanics and highly trained operators keep each piece of equipment clean and in impeccable condition, ready to serve you better. 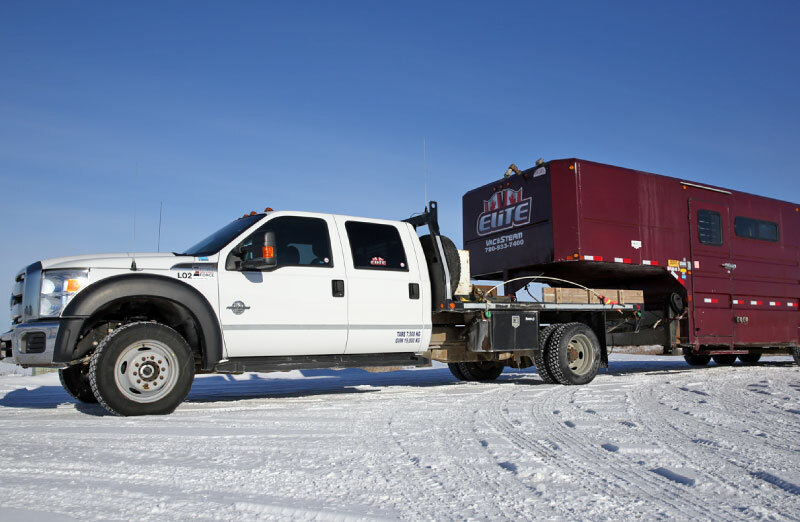 At Elite Vac & Steam, we carry both stationary and mobile boiler units, allowing us to offer a variety of capacities for different steaming & heating needs. All boiler units are completely self-contained with generators, water and fuel. Our steam trucks have high capacities to perform complex steaming and pressure washing jobs. Based in Grande Prairie and Peace River, our service area stretches to cover the entire Peace Region and beyond. Call us today for all your vac/steam & fluid hauling needs. Interested in Boiler and Mobile Steamer Services?